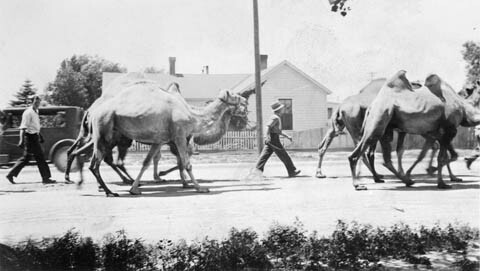 We just couldn’t help celebrating Wednesday with a camel photo. 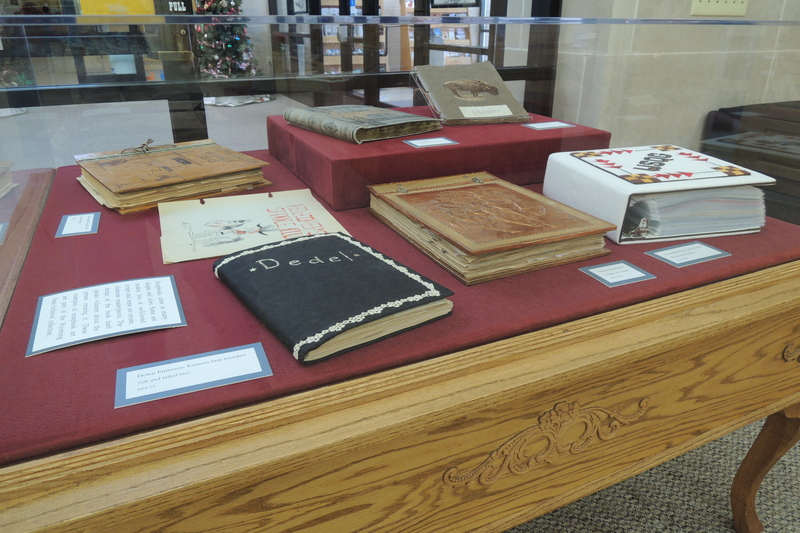 Today’s Friday Foodie feature is not for the faint of heart in modern society, but anyone who has read Laura Ingalls Wilder’s Little House in the Big Woods is familiar, at least in passing, with the dish. Head cheese is really not cheese. It is probably best classified as a luncheon meat, something akin to liverwurst or spam. Originally, head cheese was made after butchering to utilize all parts of the animal. The head and other scraps were boiled together, salvaging the small scraps of tender meat. The resulting slices are actually quite interesting to look at, with bits of meat suspended in a stiff, savory gel, similar to a stained glass window. 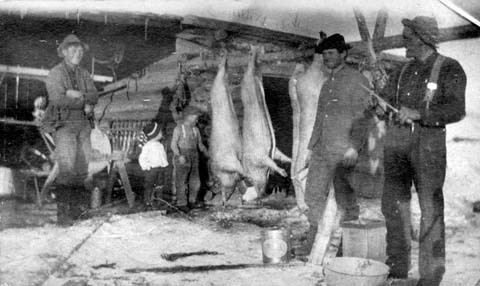 The William A. Thompson family butchering hogs near Boulder, Wyoming, ca 1905. 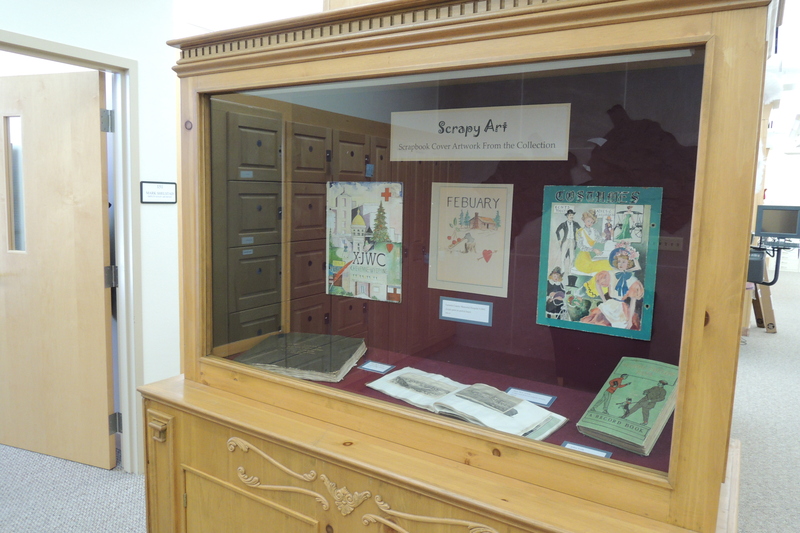 In 1914, The Presbyterian Aid Society of Evanston, Wyoming, included Mrs. L.E. Smith’s recipe for head cheese in their Evanston Cook Book of Tested Recipes. Clearly, Mrs. Smith’s recipe was designed for use by a thrifty city housewife. She utilized beef and pork shanks, which would have been cheap and easily acquired at the local butcher shop. Her recipe would probably also have created a more refined final product, suitable for club luncheons as well as family meals. 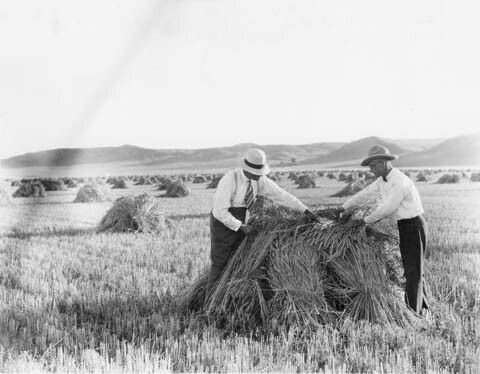 The recipe would also probably come in handy only a few years later during WWI when food prices, especially for meat, would skyrocket. 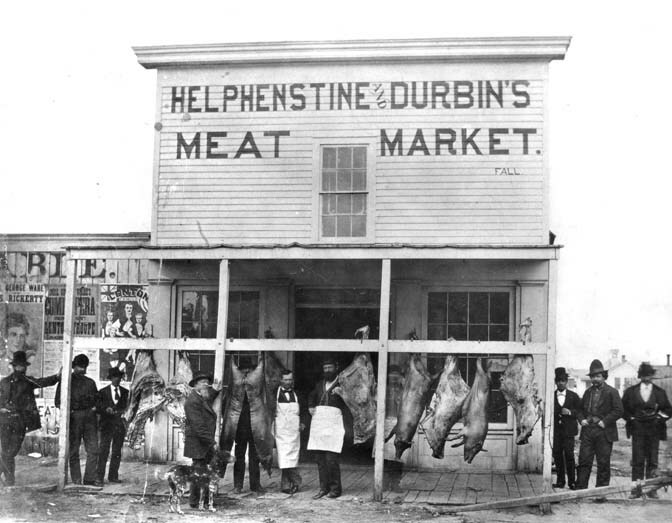 Before the advent of supermarkets, city folk relied upon their local butcher for their meat. Mrs. Smith probably would have purchased the shanks for her head cheese at a butcher shop like this one. 3 pork shanks, 1 beef shank, boiled together, take out and boil fine; strain the liquor from the ketttle, pepper and salt to taste, then boil all together for a few minutes and put in a pan to set.